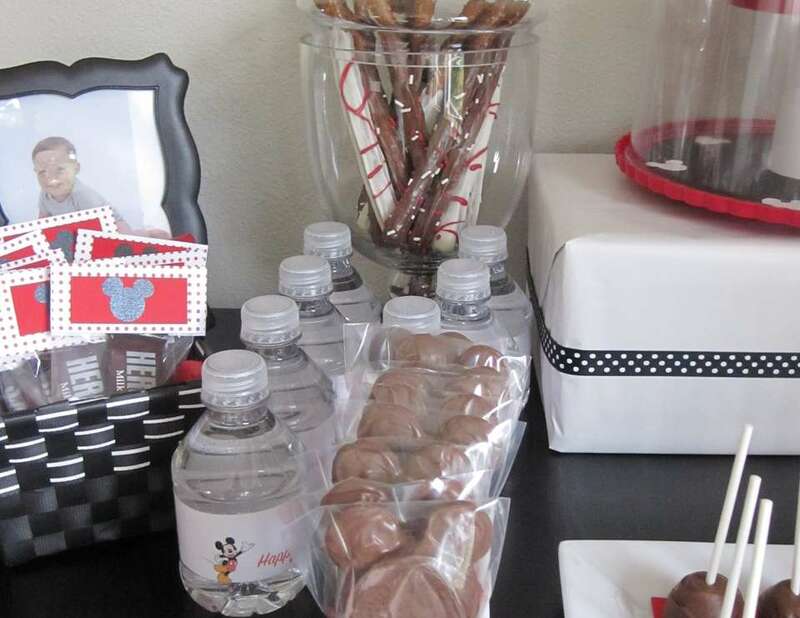 "like" my facebook page,Helpful Homemaker.For more detailed directions on this and other birthday parties and crafts. My goal was to hand make all decorations. 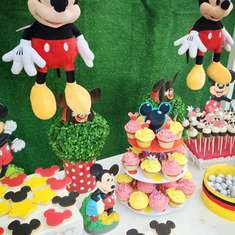 We are Mickey Mouse lovers and I had a blast doing this party and trying new recipes.This site was a huge inspiration as well. I handmade all decorations.Got some supplies from thrift store,michaels. I love website Bakerella!!! I passed out goodie bags with a couple small toys before pinyata. Love, love, love this idea. Had a look at the website and can't seem to find it. Wouls you mind telling me where you find it on playhouse disney? Love them. How did you do them? Mickey was a puncher from Michaels$10. Then I used a regular 2" circle punch and a smaller 1.5" scalloped (from craft warehouse)and glued them together ;-). U pick the paper . 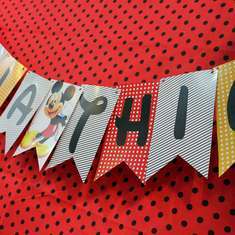 Are you having a Mickey Birthday? I could make some for you. I will copy the link tonight and repost it.it's tricky but cool thing is you can use all the characters and colors.Fun! That's how I did the menu and color sign. Hey Angela, Still having a hard time getting there to come up. I must warn you, i am not very crafty so if you could explain it step by step, i would just love it. copy that address above and put in your address bar,press "enter". it will take you directly to it. You have to design your own labels (mine said Happy birthday Roman)the size of the letters and characters. ( i made them smaller then the original size) then I printed 4 on one page, cut and used Clear boxing tape to attach to small water bottles so they are water proof. Where did you get the lollipops from. 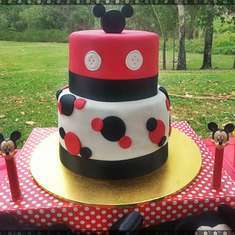 I'm throwing my son a mickey mouse ans would love to have these there. Great decorations. I love your ideas!!!! Walmart had them for Valentines.